We are extremely proud of the services and care we can offer fellow practitioners on a referral basis. 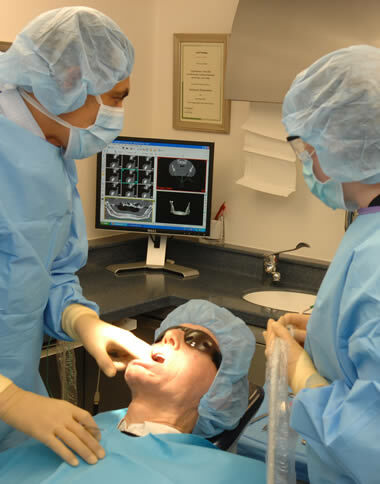 We accept private referrals for surgical AND IMPLANT dentistry under local anaesthetic with or without sedation. Cottage Implant Referral Centre also offers a full range of restorative treatments and routine extractions for private patients. Referrals could not be easier, simply fill in the referral form and post or fax it, or visit our website and complete an online referral. Cottage Implant Referral Centre was launched to provide practitioners with services that are not readily available within their own practices. Cottage Implant Clinic is a well established, efficient practice that complements the service your practice already provides. Patients will be cared for professionally by our friendly dental team and returned back to the referring dentist upon completion of treatment. We will also keep referring dentists fully informed of the progress of the patients’ care. Complete our referral form here.